Chuck Taylor’s Converse has barely changed in its ninety-six years on this earth. 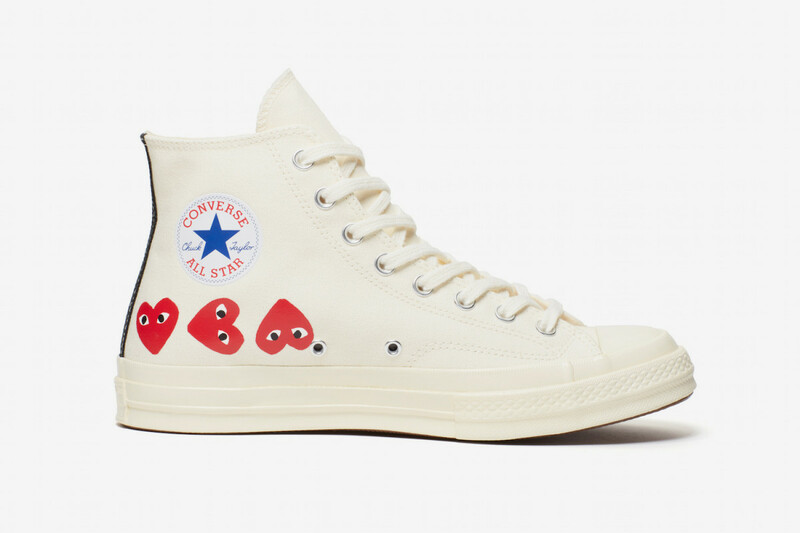 This particular model, the All Star ’70, launched in early 2013, the retro design features a thicker canvas with a smaller toe cap with a distinctive single base as opposed to the iconic shoe’s classic triple sole. 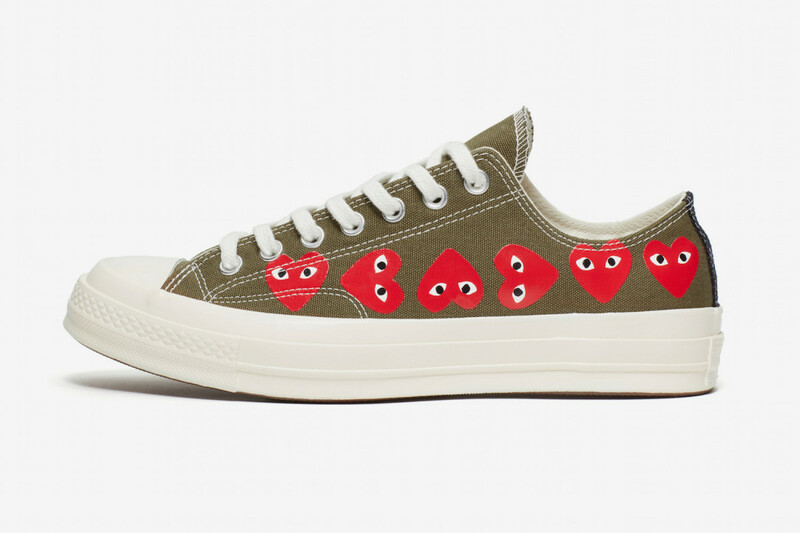 The unstoppable legacy of the shoe shows no sign of waning; especially with frequent must have Comme des Garçons collaborations. 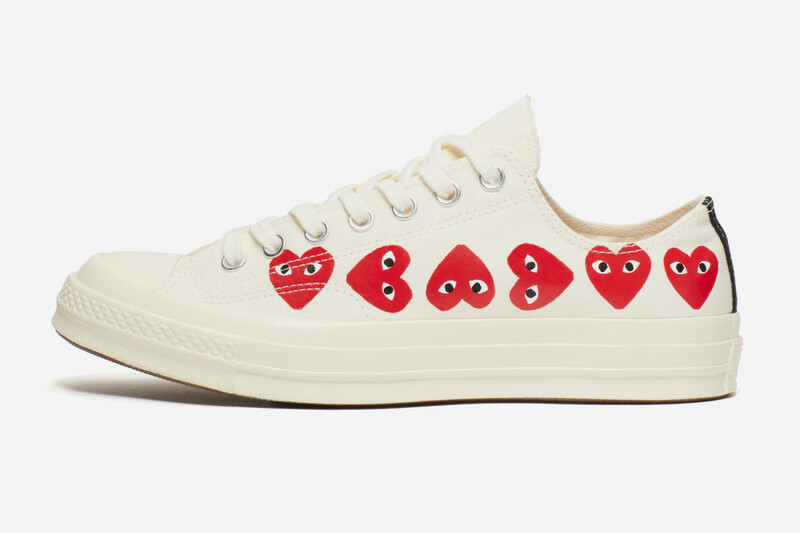 Polish artist Filip Pagowski initially designed the now instantly recognisable heart logo for CDG PLAY to show his love for the label’s founder Rei Kawakubo. 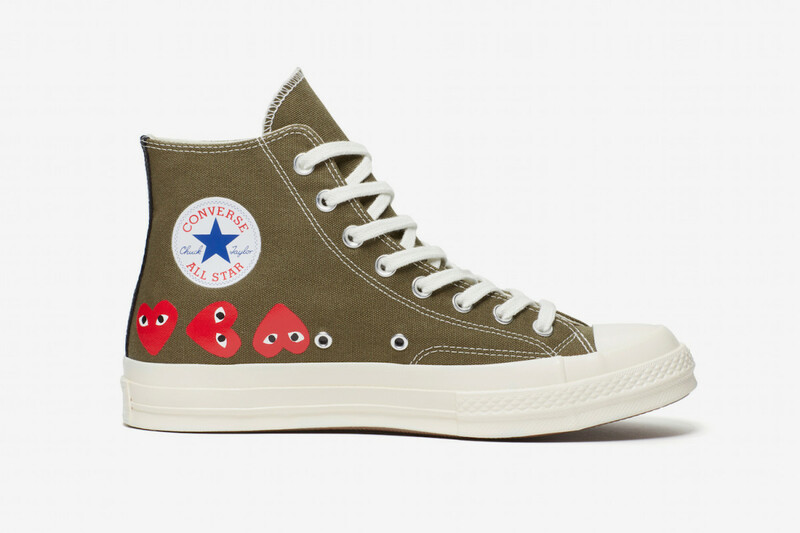 The doe eyed little guy was an instant hit and has appeared on many articles of clothing, none however as characteristic as the All Star basketball shoes. The newest “multi heart” shoe is adorned with the signature character flowing across the sides and heel of the shoe. Now available in white or khaki colourways, the sneakers offer a clean utilitarian feel while staying playful with a total of nine hearts across the base.